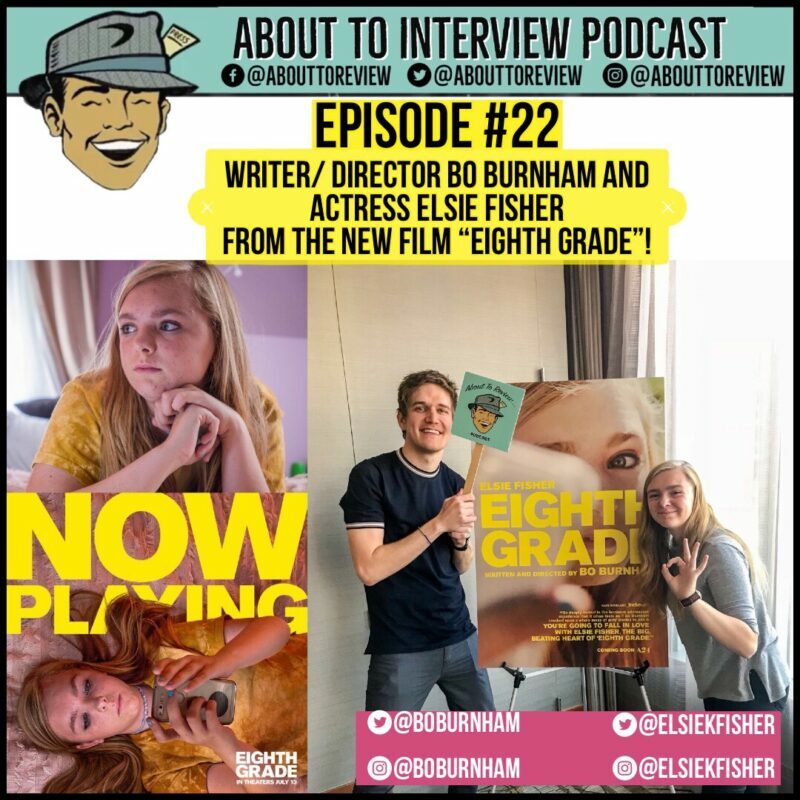 This episode of “About To Review”/ “About To Interview” features my conversation with writer/ director Bo Burnham and actress Elsie Fisher from the new film “Eighth Grade” which is in theaters now! This interview took place during the Seattle International Film Festival. This was one of the most fun conversations/ interviews that I have done in a while, and that is mostly due to Bo and Elsie being really open and carefree during our talk. Their film “Eighth Grade” is about a young woman named Kayla who is going through her last week of 8th grade, and all of the trials, tribulations, and awkwardness that comes with it. This is a phenomenal film that truly nails what it felt like to be back in 8th grade. Thank you so much to Bo Burnham and Elsie Fisher for making the time to talk with me during the Seattle International Film Festival!